The US is moving forward - after Colorado, recreational cannabis is now available in Washington and Arizona is expanding its medical marijuana program. The state of Washington is the second US state to fully legalize cannabis for recreational use. Earlier this month shops finally opened up to allow adults over the age of 21 to legally buy and consume small amounts of cannabis; and as expected, they were met with hordes of eager shoppers. Unfortunately though, very few growing licenses have been issued so far (although more are in the works). This led to a situation of high demand and low supply, causing retailers to sell out in a matter of days. It should not be a cause for concern though, the initial demand was bound to be extremely high, and as more growers gain licenses, and the initial excitement mellows out, the market will reach a stable equilibrium where demand can be met. What is important is that so far, it is working. There have not been hordes of mindless stoners walking the streets, crime has not spiked, and children have not been sacrificed to Satan. When you combine this with the fact that the first 3 days of sales generated nearly $150,000 in tax alone, we would say things are looking up. Unlike Washington, the state of Colorado has had legalized cannabis for quite a while now (and it has still not burned to the ground). Well, it seems that the market is still going strong, with a recent market study estimating that roughly 10 tons of legal marijuana are being sold each month. It is the first study to actually asseses the market data from the first 3 months of sale, instead of making predictions from customer surveys. 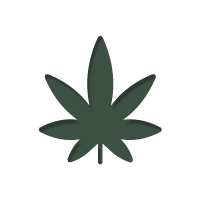 It is estimated that the actual monthly demand for cannabis in Colorado is actually in the region 130 metric tons. The results of this study are nearly 1/3 higher then those projected by the state Department of Revenue prior to the beginning of sales, suggesting the amount of tax, and thus benefit to the whole state, have also been underestimated. Once again, things are looking pretty bright for legalized cannabis. The state of Arizona has made an amendment to those who can gain access to cannabis as part of their medical marijuana program. As of now, those suffering from post-traumatic stress disorder will be able to be prescribed medical marijuana to help supplement the treatment of their ailment. It is something that has been campaigned for within the state since 2010, and it is believed it will give thousands, mainly war veterans, the access they need. It also brings cannabis one step closer to being recognised as a treatment for PTSD, as Arizona becomes the ninth US state to legalize the use of marijuana for treating it. Although things in the US are looking up, there is still a long road to travel. Certain states may have legalized the use of cannabis, but it is still illegal on a federal level. It is important to remember that large parts of the country are still in the middle ages and incarcerating thousands of cannabis consumers. Even though change is happening, and less are finding themselves caught up in the maelstrom of the US justice system for a small amount of weed, the change is happening at a very slow pace. As famously said by former President Jimmy Carter as he addressed congress, “Penalties against drug use should not be more damaging to an individual than the use of the drug itself. Nowhere is this more clear than in the laws against the possession of marijuana in private for personal use.” It is about time law enforcement agencies pulled their heads out of the sand, get with the times, and listened to these wise words.